"Great location, nice staff, great price"
"Incredible value for the price"
"Bathrooms and tolilets dirty Rooms crowded"
"Everything Smelled No air No bathroom Terrible service"
Everything was cleaner than I expected, bed, floor, shower, etc. I did my research and this was the only affordable option for me. The bathrooms are not in the room. And I brought a waterproof zippered sheet, as well as my own sheet/blanket. Soap and towels for my room and when I showered. As well as shower shoes. It was a bit scary staying alone but I managed just fine and no one bothered me. If you are staying in summer just know the windows have no screens and there are mosquitoes. I also brought a sleepmask and earplugs. With all these I felt much more comfortable and slept well. The place is advertised as a hotel but it is actally a hostel with communal bathrooms and showers. I was able to book the room for the day I needed it, which was unlikely given that I was looking to stay in SanFran at the last minute. I wouldn't stay here again if I got a free voucher. When booking, because I booked through a third party (booking.com), the hotel staff seemed to have problems confirming the reservation. Actually checking in took close to thirty minutes, which is excessive. The room ran around $170.00 for a single night stay when no events were going on in the city (on a Wednesday night, nonetheless) - which is a bit ridiculous, even for last minute reservations. The hotel had a 3 star rating on Google. I experienced 1 star service - from checking in, where several of my questions were outright ignored, to checking out - which required no identity verification at all. My group of friends and I arrived at the hotel around 3 AM (after having checked in around 9 PM and exploring the city a bit). First, the doors were locked and we had to knock on the glass to get the attention of the security guard. He would not open the door unless we showed him BOTH our state ID cards AND our room key. He explained to us that when we checked in, they only took my girlfriend and my ID, so only we were allowed to enter the hotel. This posed a problem as our friends were planning on staying in our room for several more hours. I asked if I could speak to the manager, after they refused our friends entry. The manager, in no uncertain tone of voice, told me that it was hotel policy and that the security guard had explained everything relevant already. In this particular event, my friends had had several drinks and were incapable of driving, so I was hoping they could sober up for a few hours in my room. I explained this and that they had nowhere else to go for the night to sober up, and the manager said she didn't care. I asked if I could pay a fee to allow visitors and was denied. 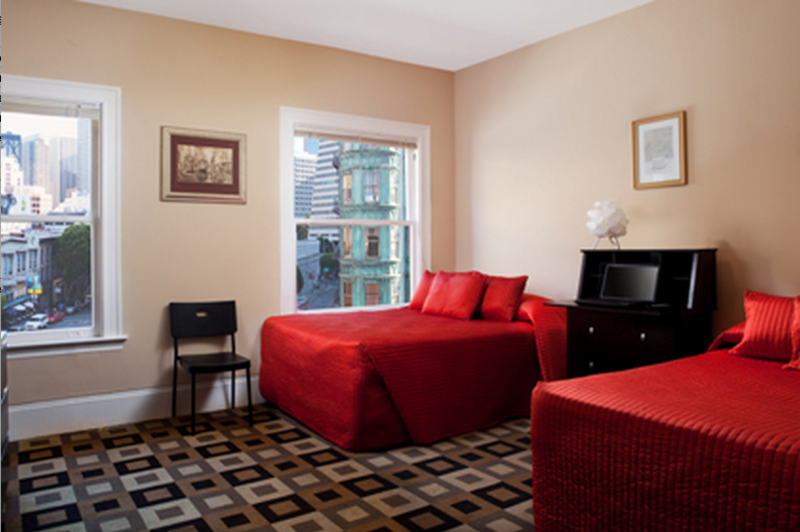 I asked if I could book another room for them, because other than sleeping in their car (in downtown San Francisco as inebriated out of towners) they had nowhere to go. The manager said roughly the following: "There are no visitors past 10 PM period. This hotel is closed for the night, so I will not book anymore rooms for you. We open at 6 AM, and if you return then, I might attempt to book another room for you at full cost if we have any available, which I find unlikely." Ultimately, my friends and I wondered around the city for 3 or so hours until the hotel "opened" at 6 AM, at which point we all walked up to my room to rest. I was also told there was a complimentary breakfast, which was not laid out from that point until I checked out at 11:30 AM. When we got to the room, there was no air conditioning and the rooms were at a balmy / humid 90 degrees and up. We had to rely on an open window that the four of us huddled around for fresh air. The room had a single lamp, a 12 inch or so TV, two beds, and a sink. The toilet and shower (if that's what they can be called) existed on a shared basis - one each per floor. The unit had a cot for a bed. The unit did not have a bathroom, shared bathroom on the floor and shared shower on the floor. Spent $20 more that day on a major chain hotel, this place should have been cheaper! Small. Bathrooms are community. Have to pay everything cash. Microwave and mini fridge in room. Tiny rooms, shared bathrooms, rude staff, NO parking, mosquitos everywhere and ready to bite the hell out of you.. Beware! I had a great experience staying here. Sure, it's not a Ritz Carlton or anything, but if you're looking for a simple, cheap place to stay while enjoying the city, this is it. Room was clean and I had a microwave and fridge for my food (huge plus if you're trying to save money). Wifi was surprisingly fast (not what I expected). Lastly, location is excellent. You're not far from Bart; several bus routes are within a 5 min walk; and there are plenty of attractions nearby. The room is small but love the view and the staff is friendly. Share bathroom with other visitors and there no hotel packing. Room was very tiny. Too expensive for sharing bathroom room. No heat control in room. Rooms are very old. Doesn't look like pictures at all. 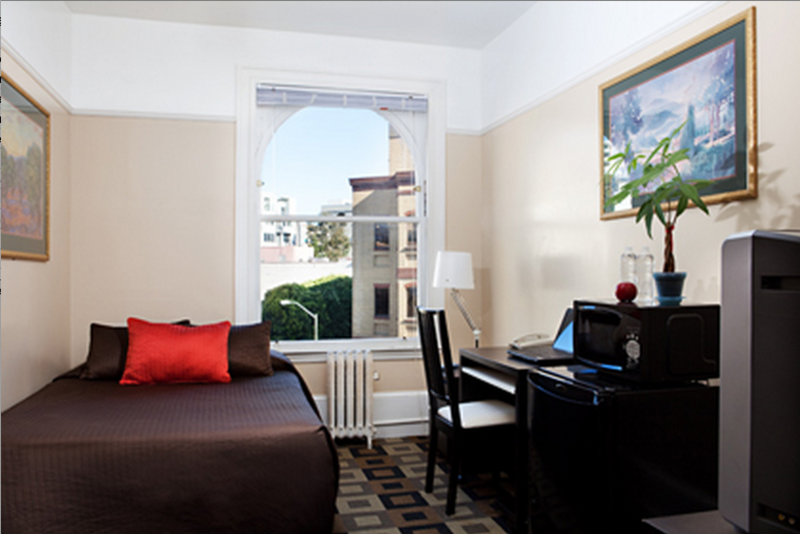 Search for Hotel North Beach discounts in San Francisco with KAYAK. 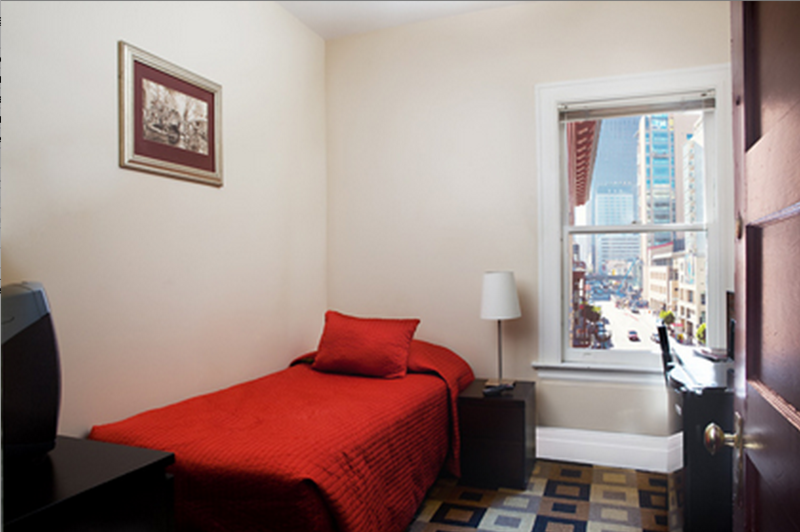 Search for the cheapest hotel deal for Hotel North Beach in San Francisco. KAYAK searches hundreds of travel sites to help you find and book the hotel deal at Hotel North Beach that suits you best. ₹ 4,691 per night (Latest starting price for this hotel) - Save up to 25%.